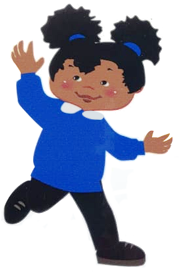 The DELTA Advance can be used by people with a wide range of conditions. 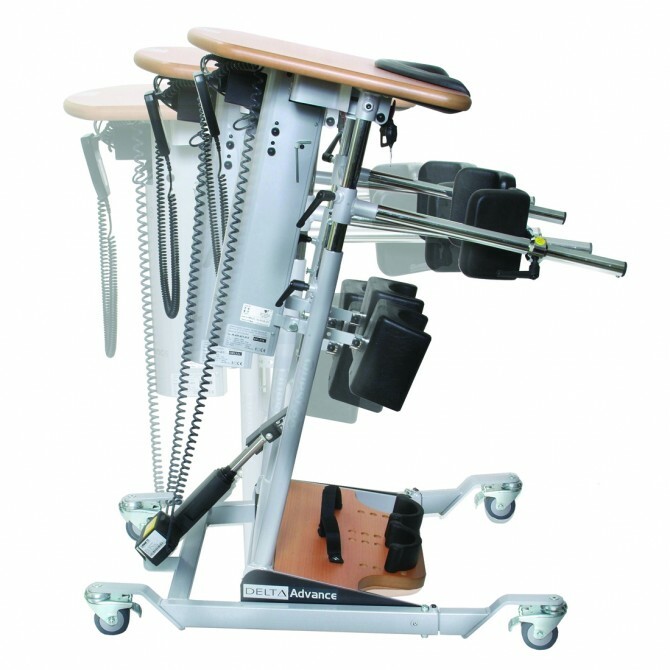 Adults with spinal or head injuries, Multiple Sclerosis and Motor Neurone Disease all have the potential to stand using this piece of equipment. 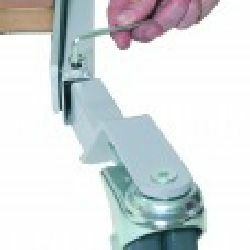 The Delta Advance lifting mechanism features a motorised belt adjustment system which is capable of lifting up to 120kg (19 stone), an updated motor is available with a maximum lift of 140kg (22 stone). 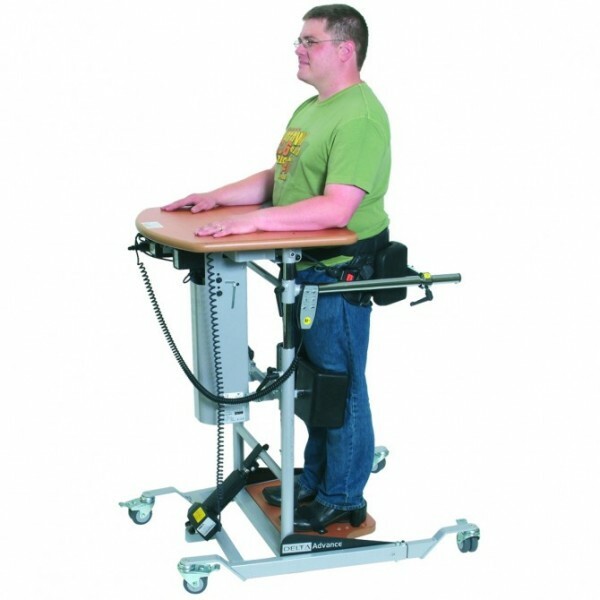 The mechanism will allow those with moderate trunk control to raise themselves from sitting to standing and those with limited trunk control to be guided into standing with attendant assistance. 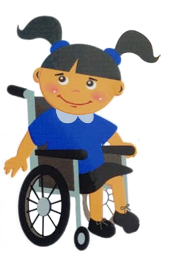 Firstly, it compensates for different wheelchair types by allowing the knee pads and hand tubes to come to the user. 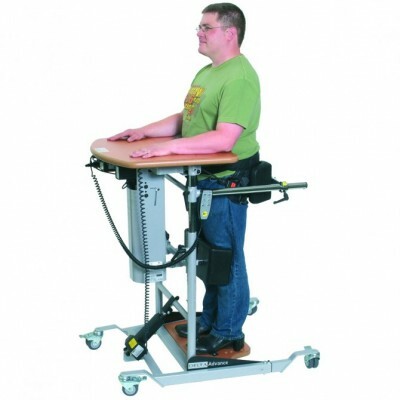 By operating the recline function through the hand control unit, the standing frame will tilt towards the seated user enabling easier access. 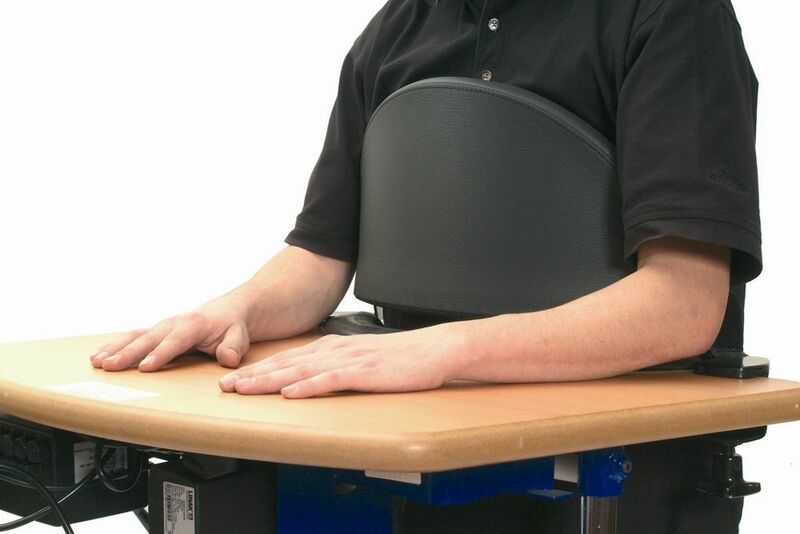 A byproduct of this is that the stander will return the user back precisely to their original seated position and this prevents the carer from having to "shuffle" the user back into his/her seat after use. Secondly, this recline feature may be used once the user is stood, to move the user into a slightly supine position (up to 7.5° recommended). For some users, this helps them to achieve better head control. Note: This function should only be used as part of a professionally prescribed standing program. Finally, the reciprocal movement between the lifting belts and the PSP offers an unprecedented level of comfort during the standing and sitting process and reduces any sensations of compression on the knees.